In the deluge of Entertainment Weekly’s Rogue One: A Star Wars Story reveals this week, one of the most interesting details so far is who Forest Whitaker is playing. You may remember that it was reported that Forest Whitaker was playing a character named “Castro,” and due to the name, was theorized to be somewhat of a Fidel Castro-like figure in attitude or position. Today, Entertainment Weekly revealed the character is Saw Gerrera from Star Wars: The Clone Wars, who was written like Che Guevara. It’s all making sense. 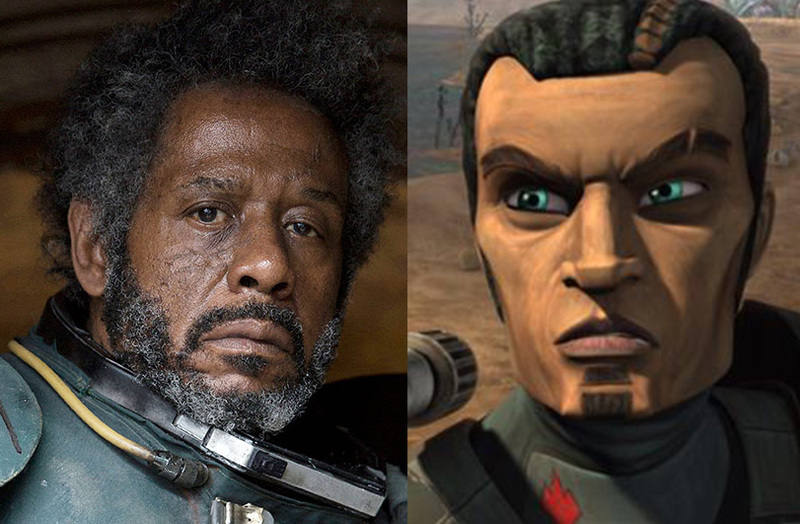 So, who is Saw Gerrera? He’s one of the Onderon rebels that helped lead the resistance to victory over the Confederacy of Independent Systems on Onderon. Go and check out the extensive story about Saw on Entertainment Weekly, and do your prep for Rogue One by watching the following Star Wars: The Clone Warsseason five episodes on Netflix!